In this photo illustration, a phone displays the Uber ride-hailing app on Sept. 22, 2017, in London. NEW YORK (CNNMoney) - Uber is launching a new service that will help out patients who need rides to and from their doctors. Uber Heath will partner with health care providers, who will be able to schedule rides for patients using a special digital platform. The providers cover the cost of the rides. The digital dashboard, which adheres to the federal privacy law HIPAA, lets doctors alert patients to their rides via SMS messages or by printing out a piece of paper. The introduction of a paper component is no small thing for the tech company: It's a bid to make it possible for everyone to benefit from the service -- regardless of whether they have a smartphone or no phone at all. 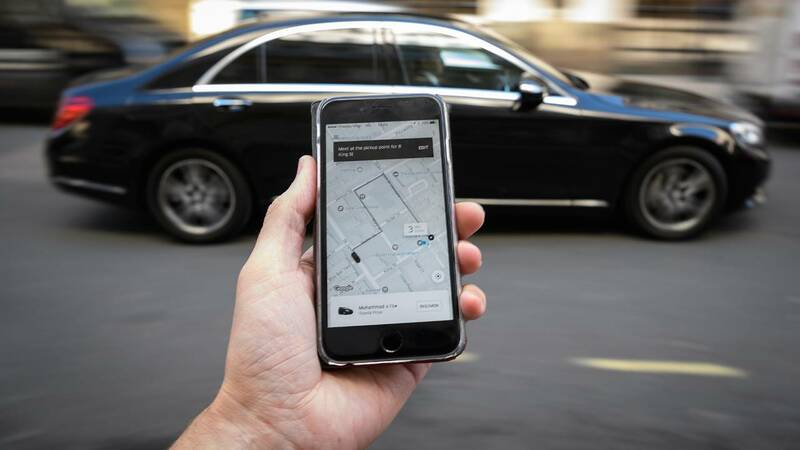 "We want to make [Uber] accessible to patients whether they're familiar with Uber or not," Chris Weber, general manager of Uber Health, told CNN. Every year, 3.6 million Americans miss medical appointments because they don't have transportation. Missed appointments cost the medical system more than $150 billion a year. Uber, and its U.S. competitor Lyft, want to chip away at the problem. Last week, Lyft announced a partnership with Hitch Health, a non-emergency transportation company that identifies patients who may need free rides and sends SMS texts. Weber said Uber Health is the company's biggest health care initiative so far. The company has supported numerous smaller health related efforts, including offering free rides to breast cancer screenings in the United States and diabetes and thyroid testing in India. The drivers serving Uber Health are regular Uber drivers. Jay Holley, head of Partnerships at Uber Health, said it's up to the doctors and providers to understand a person's physical state to know if an Uber car is the best form of transportation for them. In addition, doctors and providers have full discretion on what the service can be used for, such as transporting low-income patients to doctor offices or taking caretakers to patient homes. For drivers, it's business as usual. The company has been testing Uber Health in beta since last July. So far, it has over 100 health care organizations on board, ranging from hospitals, rehab centers, senior care facilities and physical therapy centers. Among users of the service are NYU's Perlmutter Cancer Center, Georgetown Home Care and Yale New Haven Health.